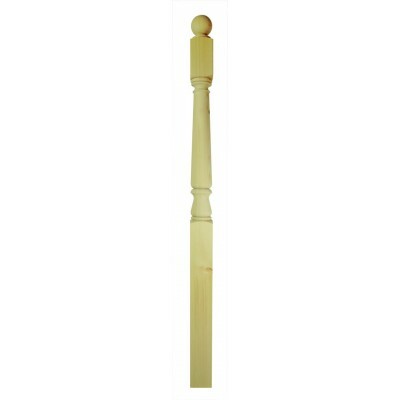 Complete newel made from pine by Richard Burbidge. The Hallmark range has been carefully designed to offer maximum affordability while retaining quality. Traditional in style, Hallmark is easy to fit and will look great in almost any style of home. All components are made to Richard Burbidge's usual exacting standards. Suitable for fixing with mortise and tenon joints. Important note: before replacing any newel, check whether it is loadbearing, as many newels form an integral part of the staircase structure. Seek professional advice if unsure.